We build entire simulators or modify existing simulators. VSimulation cooperates with different partners at different projects and delivers turnkey solutions. We help you to build a new simulator or to upgrade your existing simulator. That includes the explanations of all subsystems depending on your knowledge level, support for the creation of requirement documents, and support for the purchasing process. We offer project management services for simulator projects. The communication with usually many different companies from different countries needs detailed knowledge of technical and cultural aspects. We take the lead to ensure a successful completion for entire projects but support you as well for partial projects. We provide analyses and consultancy for all aspects of simulators. We help you to find the right tools and devices for your applications to guarantee the most value for your money. 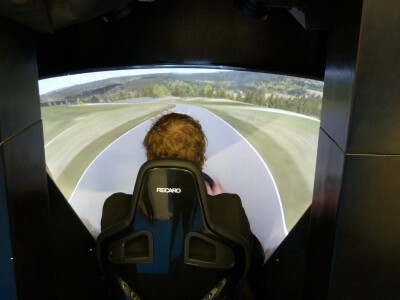 We know almost everything about legislative and operational aspects of driving simulation. Driving Simulators for training have to follow certain rules. VSimulation identifies all relevant requirements for a successful operation. We support you to develop curricula for your simulators. The integration of simulators in a training routine or in a development process need a well structured process. We help you with the integration of your simulator in your environment. We organize and supervise your database creation. We offer sales support for simulators and for simulator components in Europe. VSimulation can support your sales activities for various parts of simulators.